Captain Tim is a seasoned Charter Boat Professional, who has worked out of Noyo Harbor in Fort Bragg, California for over 38 years. 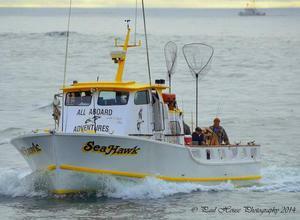 He will give current reports on our FaceBook Page of what fish we are catching as well as whale sightings! You will find out about the species of fish, size, and even get information on the current weather conditions.